2. 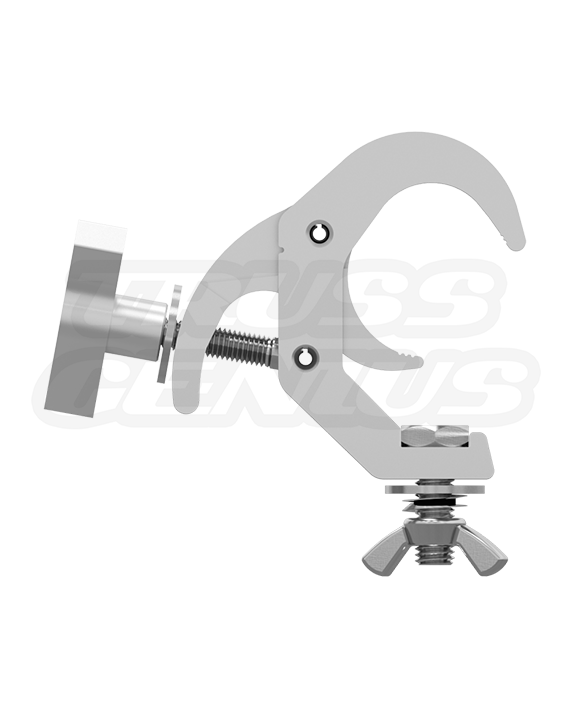 Place the JR Quick Rig Clamp on the Truss, Tube or Pipe and close the collar. 4. 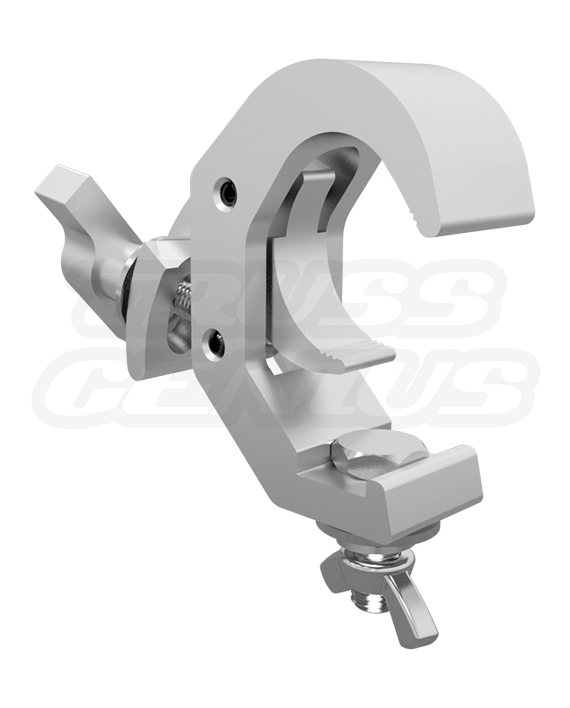 Make sure the JR Quick Rig Clamp is located in its proper place on the Truss, Tube or Pipe before tightening the wing nut. 5. 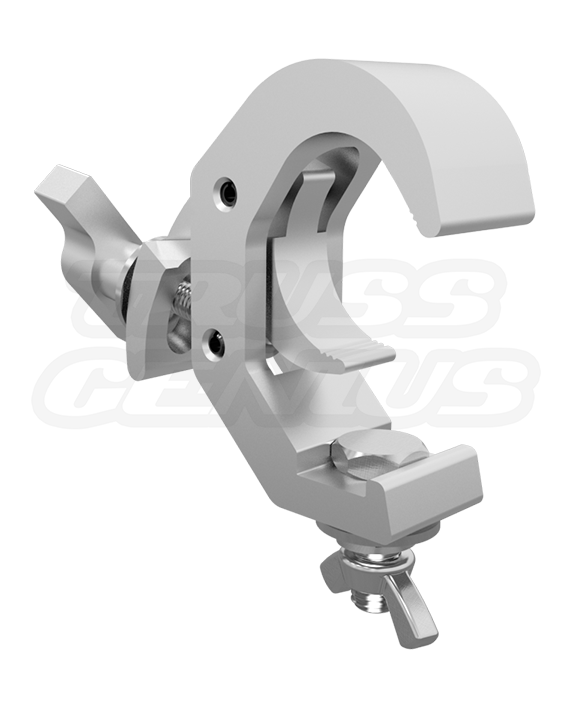 Turn the wing nut clockwise to tighten and secure the JR Quick Rig Clamp into place. 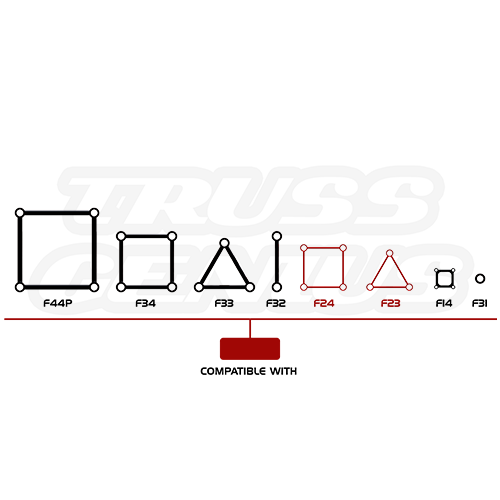 Do not exceed the load capacity of the JR Quick Rig Clamp or Truss System. The JR Quick Rig Clamp should be fully inspected before use. 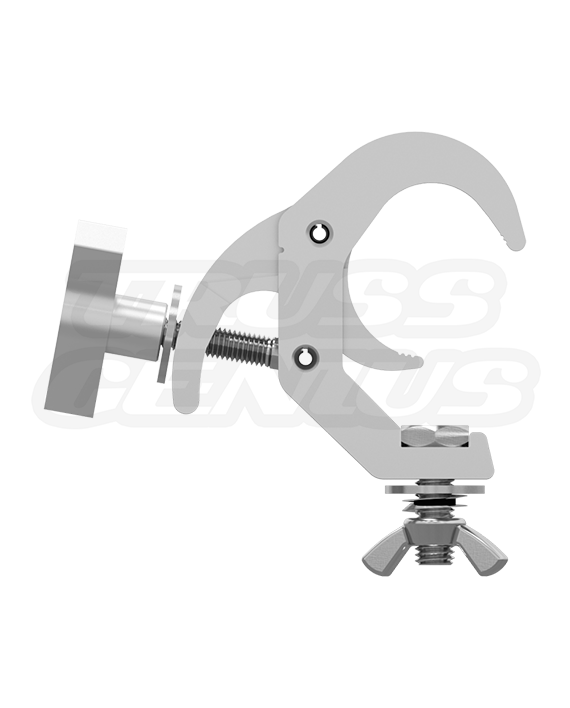 In the occurrence of any damage or defect, the JR Quick Rig Clamp should not be used. The use of safety cables is recommended for maximum security.